T.H.E. 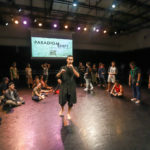 Dance Company turns 10 this year and Invisible Habitudes, a da:ns festival commission, reads as an eclectic postcard of the artistic signature of Kuik Swee Boon. 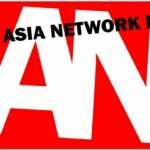 The company, and Kuik himself, have been astoundingly prolific with new creations in the span of these 10 years – its website lists 46 works in the repertory of the main company alone. I recall when T.H.E. burst onto the scene with Silence in 2007, and the elation among local dancers to see a powerful new aesthetic paired with impressive technical execution. 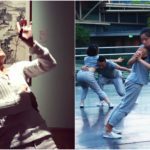 Kuik has constantly worked to refresh and diversify the vocabulary and repertoire of the company, through commissions for and collaborations with partners such as Kim Jae Duk (Korea) and a range of other international artists of diverse dance backgrounds. However, in solo choreographies, Kuik returns to a consistent aesthetic and set of questions over time: sombre stage atmosphere, unsettling soundscapes, dancers often in starkly unadorned grey tops and bottoms, channeling our eye to the expression of an inner angst and release. A physicality that marries the contemporary with elements of Chinese dance and martial arts. There is groundedness, inward spiral turns, sweeping curved paths of the limbs and explosive impulse of the spine. In jumps and extensions, arms and legs are often half-bent rather than extended. Moments of suspension alternate with frenetic movement. Sweat-matted hair swings freely. A body that is not so much contorted as distorted by a lens of emotion – emotion that shows not on the face, but pours out from the core of the body. The aesthetic is beautiful, in a wild surreal way between dream and nightmare. In terms of theme, I see that Kuik has stayed with the thread of the struggle of the individual spirit under the weight of society and urbanisation. This articulates as a wistful search for identity and ancestry, and striving for human connection. A sort of deep impulsive cry, a writhing spirit. With earlier members of the company, I sometimes felt it flowing out through their hair and fingers. With the more recent casts, the same expression seems to have found more precision and less abandon. These characteristics span Kuik’s landmark solo works Silence (2007), Old Sounds (2008), Water Bloom (2009), As it fades (2011), and Silences we are familiar with (2015). I also recall Somewhere we hear… (2006), which predates the company and is rarely seen, which I studied as repertory while in dance school. Invisible Habitudes sits firmly within this aesthetic and those concerns. 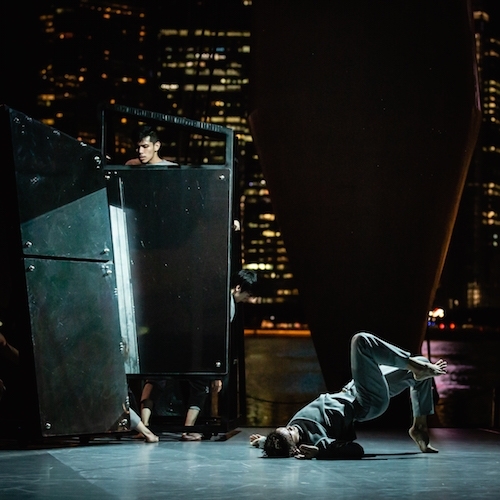 The most distinct shift is, of course, the leap from theatre stage to the Esplanade’s outdoor amphitheatre, which sets choreography against the postcard backdrop of Singapore’s night skyline. 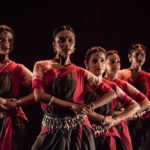 The company had given this space a dry run with an un-ticketed Second Company performance during the M1 Contact Contemporary Dance Festival this past June. This time, the space was adapted for a ticketed work, with a black canvas wall that cocooned the audience around the waterfront stage. The barrier served to keep out the gaze of passersby as well as the sounds of the sports audiences at the nearby bars. This space also brought the audience closer to the stage and the dancers’ eye level than the steeper seating rake of the Esplanade Theatre Studio. It was quite special to witness the dancers’ intense physicality in the warm evening air, closer than usual to their bodies and breath. The skyline in this venue can sometimes be distracting but I found that it served this piece well. The piece is bookended with still figures of unlit dancers in silhouette against the night lights, setting the individual against the mass of the city and its overwhelming architecture. 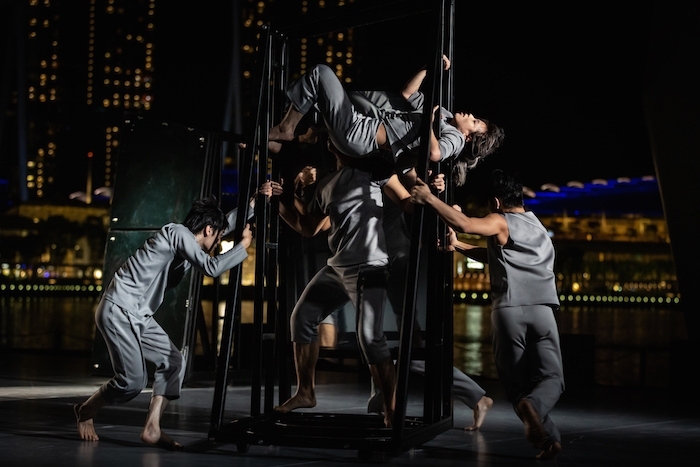 While the outdoor stage obviously doesn’t have the depth of the Esplanade’s main or even theatre studio stage, Kuik composed the dancers onstage at varying depths of frame within frame, building a layered depth reaching to the other end of Marina Bay. 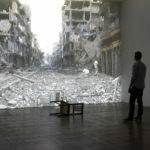 The central sections of the work are dominated by a miniature skyline: two black metal towers on stage, recalling the 2011 set of As it fades – except that there are now mirrored panel doors instead of angular glass shards. 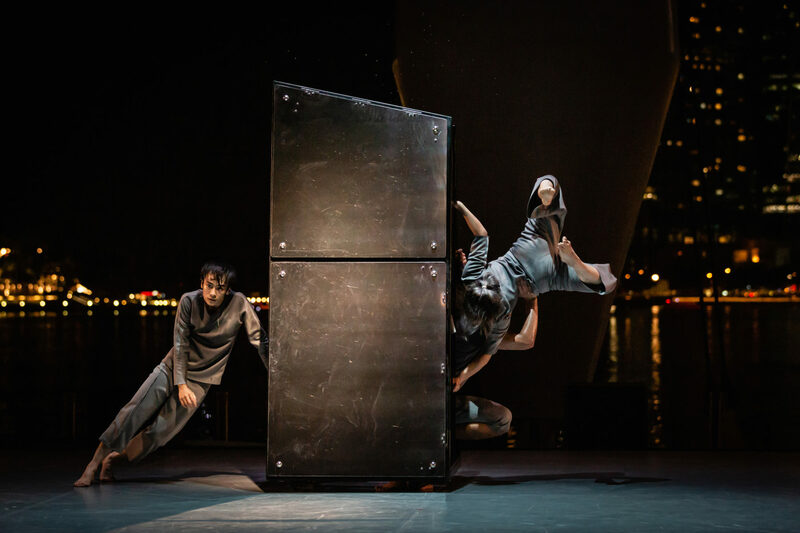 In a suspenseful moment, the dancers race around one of the towers, spinning it and leaping on and off its sides while Anthea Seah clambers in and above it, revealing herself in different positions every time the tower turns around. At other times the towers aren’t so much for habiting as for vanishing. Dancers slide in and out of view, recomposing themselves in bizarre disembodied tableaux. A trio of arms drip down between mirrored panels, followed by a headless body sliding through, and a bloom of multiple legs. It is a magnification of the floating disembodied limbs that appeared from the static backdrop of Somewhere we hear… . The deconstructed bodies are fascinating, but the outdoor theatre seem to work against the production values, denying the possibility of full darkness and a more complex lighting rig. It was a little too obvious that the dancers were hiding behind the panels and sticking bits of themselves out in a home-made illusion show, instead of what was probably intended to have the sleek bizarreness of a Dimitris Papaoiannou scenography. It was instead a conventional merging of bodies that I found most compelling. Anthea Seah and Billy Keohavong, stripped down to their underwear, perform an exquisite slow duet, leveraging on each other’s bodies in a flow that make them one extended body. These images of composite bodies speak to Kuik’s continuing exploration of struggles with identity and disconnection with Asian roots. 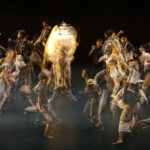 Recalling Old Sounds and As it fades, the sound design includes the injection of recordings of the dancers’ voices in dialect, and an onstage monologue in Lao by Billy Keohavong. A new dimension to this question that Kuik has not tackled before is an attempt to address gender ambiguity, with a sculpturally dramatic solo by Brandon Khoo combining the ultra masculinity of his chiseled torso with a billowing grey liturgical dance skirt. At the end of the piece, it is this bifurcated body that approaches us with a pair of mirrors in hand, a junction between the stage space and the audience space, looking forwards and backwards in time. Kuik was visibly emotional when he stepped onstage at the curtain call, to thank the dancers and everyone who has contributed to T.H.E’s ten years. Invisible Habitudes is possibly too many things, drawing on this choreographer’s rich journey. But as difficult questions merit persistent enquiry, we can look forward to much further excavation. 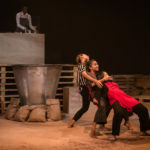 An Esplanade-commissioned work, Invisible Habitudes was staged on 11-12 October 2018 at the Esplanade Outdoor Theatre as part of the Esplanade da:ns festival 2018. Guest contributor Chan Sze-Wei is a dance maker, performance maker and sometime trouble maker. 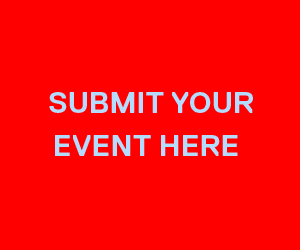 Blending conceptual, interactive, improvisatory and cross-cultural approaches for theatres, public spaces, performance installation and film, her work is often intimate and sometimes invasively personal, reflecting on social issues, identity and gender constructs.